Price listed is for eight glass beads. 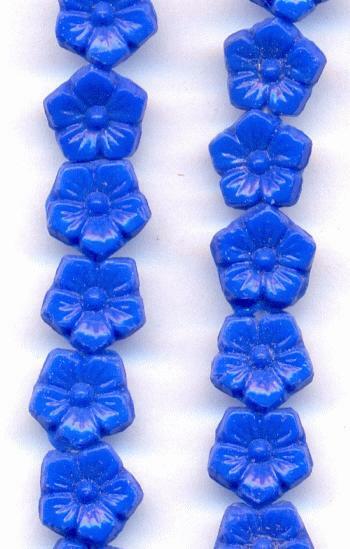 They are approximately 8mm opaque blue glass flower beads. They have a hole drilled side to side and flat backs. Some may be a bit rough around the edges. These will need to be wiped clean with a damp cloth.